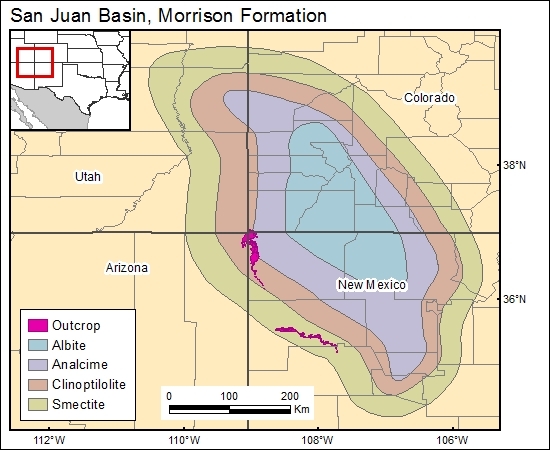 In his paper on ground-water resources of the upper Colorado River Basin, Freethey (1987a, p. 61) identified the Brushy Basin as the confining unit of the Morrison aquifer. Even though Freethey's assessment is only for Colorado, Utah, and Arizona, the literature (for example, Turner and others, 1991) suggests that this general configuration is also appropriate for the San Juan Basin. Freethey (1987a) described the confining units in his study (including the Brush Basin Member) as leaky. Additional characterization is needed.